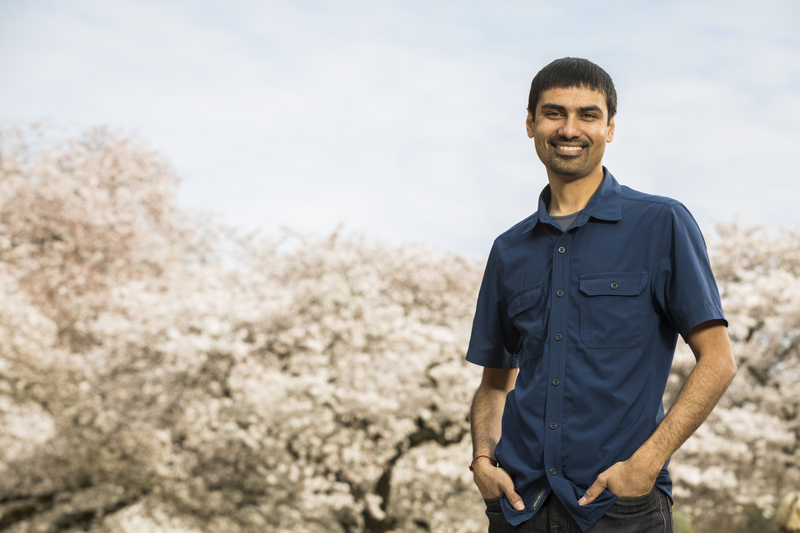 A University of Washington professor, Shwetak Patel, is the recipient of the 2018 ACM Prize in Computing for contributions to creative and practical sensing systems for sustainability and health, the Association for Computing Machinery or ACM announced today. Until Patel’s work, most systems for monitoring energy and health required expensive and cumbersome specialized devices, precluding practical widespread adoption. Patel and his students found highly creative ways to leverage existing infrastructure to make affordable and accurate monitoring a practical reality. Patel quickly turned his team’s research contributions into real-world deployments, founding companies to commercialize their work. The ACM Prize in Computing recognizes early-to-mid-career computer scientists whose research contributions have fundamental impact and broad implications. 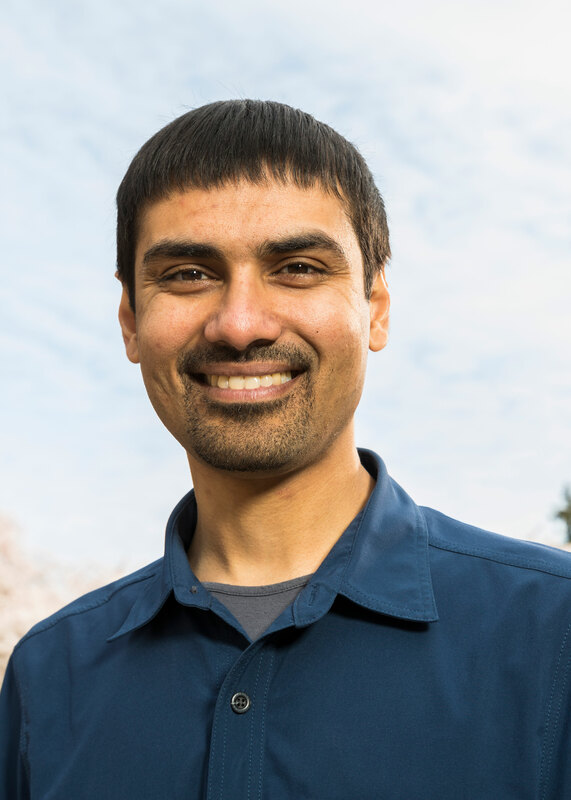 The award carries a prize of $250,000, from an endowment provided by Infosys Ltd. Patel will formally receive the ACM Prize at ACM’s annual awards banquet on June 15, 2019 in San Francisco. This is ACM’s second most prestigious award in all of computing (after the Turing Award – known as the Nobel Prize in Computing). “At the University of Washington, we measure success by impact. Shwetak’s ground-breaking work sets a high standard for what creative thinking and a pioneering spirit can deliver on the frontiers of computing. 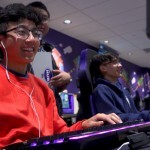 We congratulate Shwetak for this prestigious award,” said Mark Richards, provost and executive vice president for academic affairs, University of Washington. 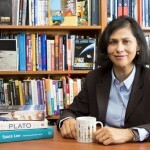 Patel’s research closed the gap between science fiction and reality in many applications in ubiquitous computing for sustainability and health. With the emergence of embedded computing systems over the past few decades, a longstanding goal has been to use embedded devices to gain a more fine-grained understanding of home water and energy usage than is available by simply reading a monthly utility bill. In industry, one proposed solution has been to develop “smart appliances” in which items such as refrigerators or televisions would be fitted with special meters so that that their energy consumption could be monitored. Rather than having smart devices throughout the home, each with its own meter, Patel recognized that a home’s electrical system (and later its plumbing system) can be reconsidered as a network capable of capturing and transmitting information. Patel’s insight was that each appliance, as it uses power, generates and transmits information as “noise” (perturbations) on the circuit. Patel then developed a method to “disambiguate” (separate and catalog) which rooms, appliances, and times of day energy was being used. Patel engineered the system so that an entire home could be monitored with just one meter for electricity and one meter for plumbing. 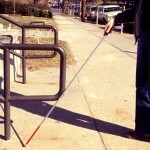 Zensi, Inc., the startup he formed to commercialize his work was sold to Belkin, which subsequently opened a 25-person R&D lab in Seattle to conduct further sustainability research alongside Patel and his team. In developing these products, Patel also became an electrician and plumber. Building on his work on sustainability in residential environments, Patel next developed a new approach for wireless sensor nodes in the home, which dramatically reduced power consumption of each node while continuing to cover the whole home. Patel’s SNUPI (Sensor Nodes Utilizing Powerline Infrastructure) nodes contain an ultra low-power transmitter that extends its range by coupling its wirelessly transmitted signal to the existing powerlines. SNUPI was a core component of Patel’s next startup WallyHome. Through its network of low-powered sensors, WallyHome monitors temperature, humidity and any potential water leakages. For example, if an event occurs in the home such as a dishwasher leak the homeowner will receive an instant text on their mobile phones. While WallyHome was purchased by Sears Holding Company in 2015, Patel’s research in smart home sensing has informed much of the growing smart home industry including companies like Google, Next, and Samsung. More recently, Patel has leveraged sensors already on mobile phones (eg, camera, microphone) for physiological sensing and the management of chronic diseases. These technologies include SPiroSmart and CoughSense, which monitor lung function, BiliCam, which detects neonatal jaundice in newborns, HemaApp, which monitors hemoglobin levels, OsteoApp, to screen for osteoporosis, and BPSense, which monitors blood pressure. Patel has been working closely with Bill Gates and the Bill & Melinda Gates Foundation to share these technologies throughout the developing world. His work using a microphone for respiratory monitoring has already been deployed in parts of India and Bangladesh, and HemApp is being used in Peru to screen for childhood anemia. He also commercialized some of these technologies through his startup Senosis, which was recently acquired by Google. Patel is the Washington Research Foundation Entrepreneurship Endowed Professor in Computer Science and Engineering at the UW, where he directs the Ubicomp Lab, which develops innovative sensing systems for real-world applications in health, sustainability and novel interactions. He has joint appointments in the Paul G. Allen School of Computer Science & Engineering and the Department of Electrical & Computer Engineering. He is also a director at Google working on health care. 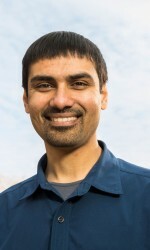 Patel earned his Bachelor’s and Ph.D. degrees in computer science from Georgia Institute of Technology. His numerous honors include receiving a MacArthur Fellowship, a Sloan Fellowship, a Presidential Early Career Award for Scientists and Engineers Award (PECASE), MIT TR-35 Award, and a National Academy of Engineering Gilbreth Award. Patel is a Fellow of ACM. The ACM Prize in Computing recognizes an early to mid-career fundamental innovative contribution in computing that, through its depth, impact and broad implications, exemplifies the greatest achievements in the discipline. The award carries a prize of $250,000. Financial support is provided by an endowment from Infosys Ltd. The ACM Prize in Computing was previously known as the ACM-Infosys Foundation Award in the Computing Sciences from 2007 through 2015. ACM Prize recipients are invited to participate in the Heidelberg Laureate Forum, an annual networking event that brings together young researchers from around the world with recipients of the ACM A.M. Turing Award, the Abel Prize, the Fields Medal, and the Nevanlinna Prize. Infosys is a global leader in technology services and consulting. We enable clients in more than 50 countries to create and execute strategies for their digital transformation. From engineering to application development, knowledge management and business process management, we help our clients find the right problems to solve, and to solve these effectively. Our team of 199,000+ innovators, across the globe, is differentiated by the imagination, knowledge and experience, across industries and technologies that we bring to every project we undertake. Visit www.infosys.com/ to see how Infosys (NYSE: INFY) can help your enterprise thrive in the digital age. This press release was adapted from an ACM press release. For more information or to reach Patel, email shwetak@cs.washington.edu.